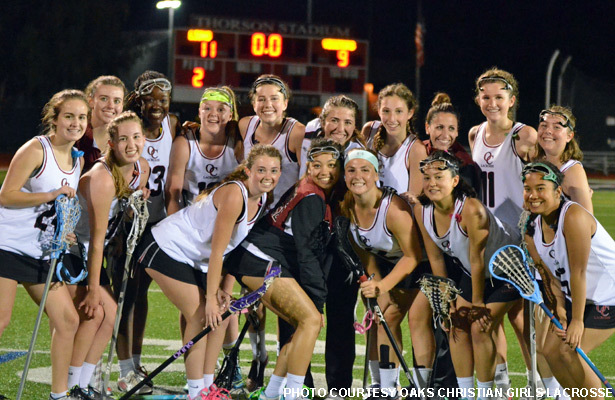 In its debut season last spring, the Oaks Christian girls lacrosse team lost to neighboring Westlake 24-1. As the saying goes, what a difference a year makes. Friday, No. 18 Oaks handed visiting No. 10 Westlake an 11-9 defeat to even its record at 4-4 on the season. The duo also combined to control 16 of 21 draws in the contest, leading to plenty of possession time for the Lions. Bryan won 13 draws, and Spaeth won three. Goalie Taylor Ehrlich recorded 14 saves for the Lions, and defenders Krissy Walker, Morgan Davies and Kelly Washkewitz helped limit the Warriors’ opportunities. The win snapped a three-game losing streak for Oaks Christian, which had lost to West Ranch and Thousand Oaks (in overtime) before spring break, then fell to No. 2 Chaminade on Tuesday.